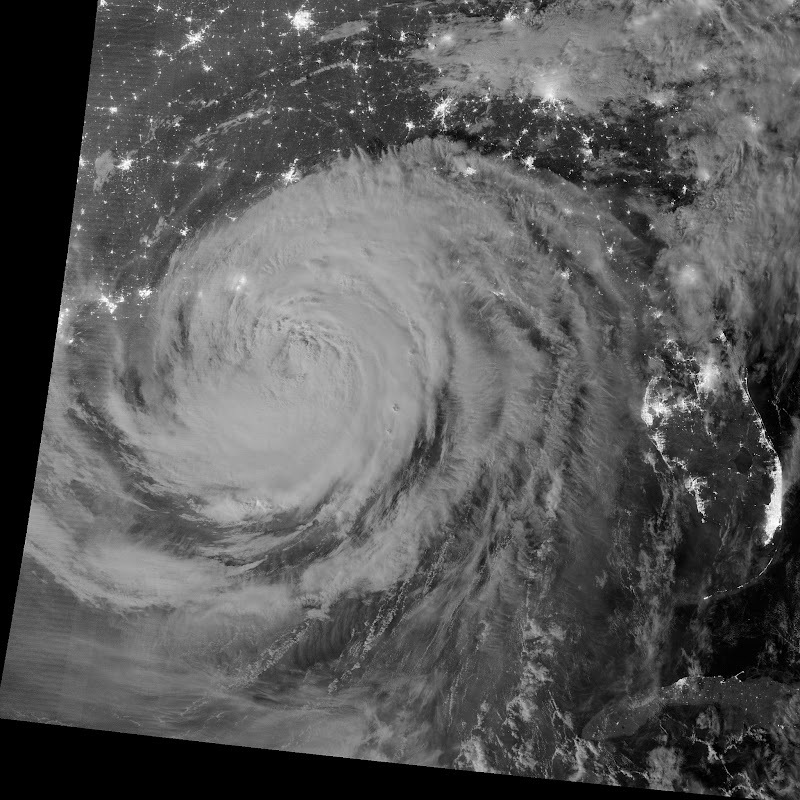 Hurricane Isaac lit up by moonlight as it spins over the city of New Orleans, La. at 1:57 am central daylight savings time the morning of August 29, 2012. The Suomi National Polar-orbiting Partnership (NPP) satellite captured these images with its Visible Infrared Imaging Radiometer Suite (VIIRS). The "day-night band" of VIIRS detects light in a range of wavelengths from green to near-infrared and uses light intensification to enable the detection of dim signals.